Home F1 Features Is Head a cheerleader without pompoms? Is Head a cheerleader without pompoms? Seven, the number of World titles. Nine Constructors’ Championships won. 114 times the top step of the podium belonged to them and in 128 qualifying sessions one of their drivers took pole position. Those numbers belong to Williams, one of the longest serving privateer teams in Formula 1 and the sport’s third most successful team ever. Sadly, it doesn’t look as if they’ll be adding to those any time soon, definitely not this year and 99% not the next either. Having taken a wrong turn last season with the philosophy of their FW41, Williams hoped that this year’s car would be a step in the right direction, after all the only way is up. But while Williams may be claiming that the FW42 is a better car, the numbers suggest otherwise. Last year Lance Stroll made it into Q2 in Australia and finished on the same lap as the race winner. This year, George Russell was P19 with Robert Kubica P20 in qualifying, and on race day they were two and three laps down. In 2018’s Bahrain GP neither Williams progressed out of Q1 but the slowest, Stroll, was 2.4s slower than the pole position man while both finished the race a lap down. Two weeks ago the slowest, Kubica, was 3.3s off P1 and he crossed the line two laps behind the race winner. Not exactly encouraging is it? 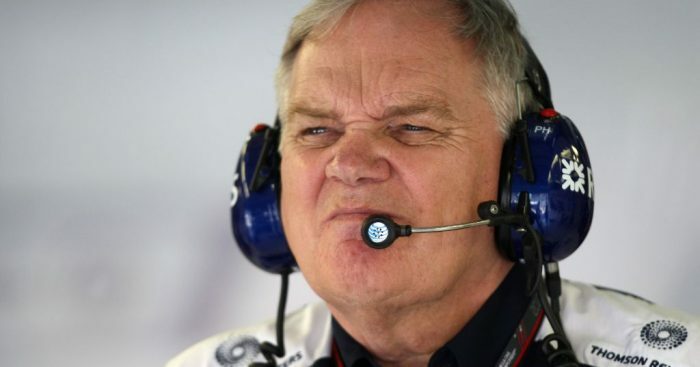 Faced with a growing disaster, not that many believed it could get any worse, Williams have brought back team founder and former technical boss Patrick Head. He’s filling the gap left by former tech boss Paddy Lowe who took a “leave of absence” after Williams failed to put a car on the track in the opening two days of pre-season testing. And failed to find any sort of form, aside from shockingly poor form, when they eventually did. The Williams drivers have applauded Head’s return with Russell saying: “I think it will be great. He’s only coming in as a support role, it’s nothing full time, but with his presence he’s a very strong character with a lot of personality and maybe [that’s] what we need at the moment. “With all his experience and [the] history he has at Williams, just having him around will lift everybody. And while some are wondering why Head wasn’t already on the phone to deputy team boss Claire Williams throwing his weight, and shares, around or whether this is a case of smoke and mirrors to distract from their wretched on-track form, the big question is can he help? Although Head has been away from Formula 1 since 2011, by his very nature he will have kept on top of things, know the ins and outs of today’s regulations and with his vast experience may even figure out that one trick that will give the drivers control over the car and an understanding of the set-up. Williams have not gone into details about what is wrong with their car but corner entry and stability feature high on that list. 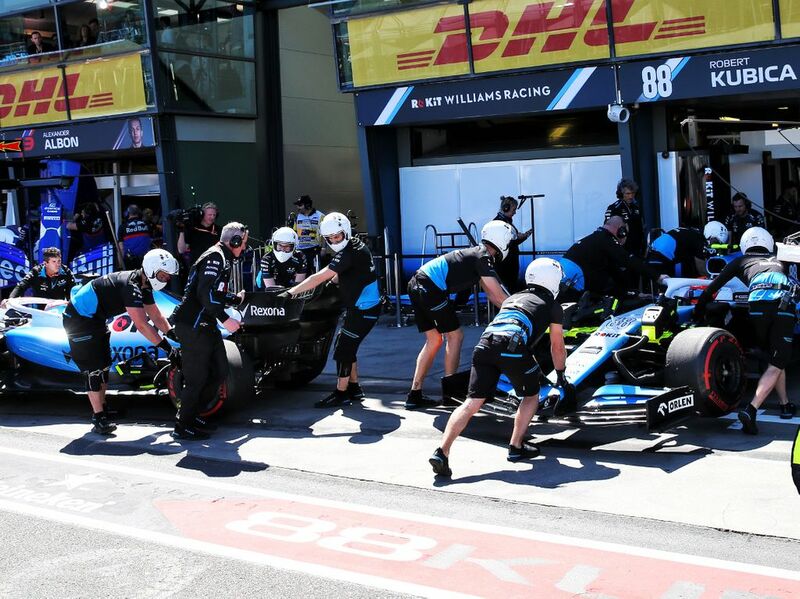 Changes to the wings, floor and bargeboards can help with that, at least a bit, but it seems as if fundamentally Williams have once again got it very wrong. “There is one fundamental which I don’t want to discuss publicly,” Russell told Motorsport.com after the Australian race. With Head advising the technical team, an old head looking at new problems will see the introduction of updates throughout the season that maybe allow Williams to narrow the deficit, however, in order to even come close to closing the gap, a B-spec car is the only solution. Williams certainly put the laps in during the second week of testing, after limited action in week one. That, though, requires time and money, two things Williams do not have in abundance. Falling from fifth to wooden spoon last, swapping Martini for ROKiT and saying goodbye to the Stroll millions, Williams’ 2018 earnings may have been solid but they will take a massive hit this year. Time is also not on their side as teams have often used the Spanish GP in May to introduce B-spec cars having realised in testing already that things aren’t right. But with Head only arriving a week ago, he has just over a month to work his magic before hitting the track in Barcelona. Unfortunately for Williams, Head’s return may prove to be not much more than an experienced cheerleader with no pompoms flapping their hands in the breeze.